There is $30,000 up for grabs in the Spring Leaderboard tournament at Mandarin Palace Casino. The tournament begins today, 28th March, and continues through the end of the month until 3rd April 2019. There are great prizes for the top 30 leaderboard placers, with cash, bonus funds, and free spins available. Play the specially selected slots and earn leaderboard points. There are some great slot choices with Samba Spins, Throne of Gold, Diamond Cherries, and Spartians. You can also play Frogged, Birds, Band Outta Hell, and The Tipsy Tourist. Mandarin Palace certainly picked a great selection of slots for this tournament. If you win a cash prize in the tournament, you can only withdraw your prize if you fill the requirements. Make at least one real money deposit at the casino before the leaderboard promotion begins. Register for this tournament via customer support. 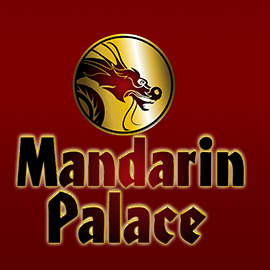 Contact the support team with the Live Chat feature on the Mandarin Palace Casino site. In addition to the leaderboard games, enjoy Hourly Live Draws on Friday and Saturday. The Live Draws take place between 2pm EDT and midnight of the same day. Make sure you’re playing for a chance to win one of the Hourly Live Draws on Friday or Saturday. There are 30 prizes with three top cash prizes, are number of bonus money prizes, and free spins. Cash Prizes: The top three winners enjoy cash prizes for$3,500, $2,500, and $1,500 respectively. Bonus Money Prizes: The bonus money prizes range from the 4th to the 18th In order of the prizes, they are $1,500, $1,300, $1,200, $1,100, $1,000, $950, $850, $800, $750, $700, $650, $500, $450, $400, and $300 of bonus money. Free Spins Prizes: The 19th place player gets 200 free spins, while the 20th placer gets 100 free spins. Players ending in the 21st to 25th positions each get 75 free spins. Those ending from the 26th to 30th positions each get 50 free spins. Since spring has sprung at Mandarin Palace Casino, there is a great new spring-themed slot game available. Celebrate the new slot game, Show Me the Honey, with a special free spins offer. Simply deposit $50 or more, and enter the HONEY100 coupon code. You get to enjoy a whopping 100 free spins on the new slot.